Joseph Pascal Morvan arrived in the village of Puligny-Montrachet in 1920 to make wine. In 1950, after a stint at Domaine Leflaive, Josephs’s son Jean began work beside his father, as well as purchasing a few plots of his own. 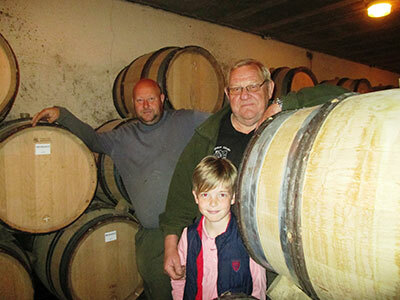 Five years later, during a dip in demand for their wines that threatened the Domaine, the pair began a nursery business that cultivated vine plants. Today, it’s the fourth generation of the Pascal family tending the family’s 16 hectares of vineyards in the communes of Puligny-Montrachet, Meursault, Volnay and Auxey-Duresses, as well as an annual production of about 500,000 vine grafts. The work from this small domaine typifies traditional winemaking, with minimal and thoughtful use of oak. The 2011 “Les Enseigneres” is a village wine from an exceptional lieu-dit only separated from the Grand Crus of Bâtard-Montrachet and Bienvenues-Bâtard-Montrachet by a narrow road. The wine expresses an intense minerality with a lengthy finish behind notes of citrus blossoms.